Luxury home buyers look for specific features and amenities when buying a home. They want a good investment, a beautiful home, and have a house that they can truly enjoy. When planning for luxury home upgrades, the real wow factor isn’t just about going for home improvement projects that can increase the home’s resale value, it is about creating a home that a new homeowner won’t want to ever pass up. Make use of the following luxury home upgrades to make your property even more irresistible to buyers! Whether targeting home buyers who have a passion for entertaining or just trying to make your property even more tempting, adding an outdoor kitchen makes your home more attractive to luxury home buyers because it presents extra possibilities and is therefore perceived as a good investment. You can achieve this by building a cooking station and an outdoor BBQ area near a patio. You can dress it up with luxury finishes or leave it bare so home buyers can add what they want. While it is a given that the master suite will have a walk-in closet, there are still luxury properties that reserve this feature to the master suite alone. Most luxury home buyers expect to have walk-in closets in all bedrooms so this is definitely an upgrade that will pay for itself especially if you focus on space-saving features such as slide-out drawers and shoe compartment. Well-planned lighting and glass shelves are great additions too. Transforming your bathrooms into oases of relaxation can truly boost your luxury home’s appeal. Be sure to have double sinks, lots of storage for products, spacious walk-in showers, gorgeous free-standing soaking tubs, and modern upscale finishes. If you’re looking for a luxury home upgrade that will really draw in buyers, then go with a bathroom renovation. Luxury home buyers are often the type who entertain a lot or have a love for collecting wine. 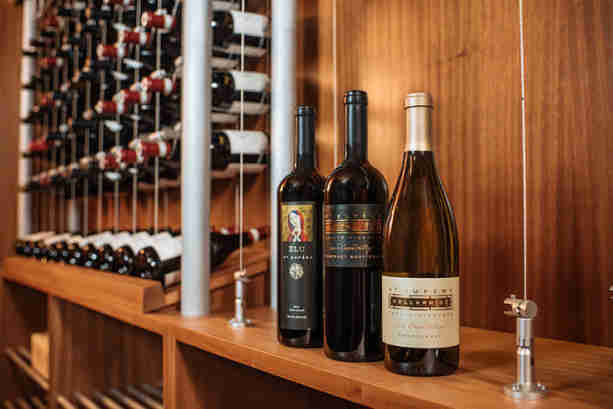 By having a beautiful and spacious wine cellar, you can add significant value to your home. Modernising an existing wine cellar will work wonders too, more so if you add a tasting room. Both luxury condo and luxury home buyers expect home automation these days. They want full control of their home even when they are thousands of miles away. Most home automation systems can be controlled using the internet. Imagine controlling your home’s temperature, lighting, and security via your phone even when you’re not home, wouldn’t that define the ultimate in luxury home living? A huge home renovation often isn’t needed when preparing to sell a luxury home. A few well-thought upgrades are enough to transform your home from lovely to have to absolutely must-have. If you need help selling a luxury home in Oakville, don’t hesitate to contact us. Our agents will be happy to consult with you and assist with your Oakville home listing.